Clips from last week when SoCal Uncensored attacked the Young Bucks. Dobbs got a few moves in, much to the delight of the crowd, but this was a squash for Martinez. Dalton Castle and The Boys head to the ring. Martinez takes a swing at Castle, but Castle dodges and suplexes Martinez. Martinez rolls out of the ring and slowly walks away. Good match. It felt like a huge leap forward for Coast to Coast, though I’m not sure if it’s an entirely believable one. C2C looked good, but they kicked out of stuff that felt like they shouldn’t have. It was a great match for them, and War Machine did what they did best, but in the end it felt like it was a bit forced. Maybe it was the finish that we so very often in “upset” victories that made me feel like that, and maybe if I watch this match again I won’t feel the same way. After the match, War Machine shake hands with C2C. Beer City Bruiser welcomes Brian Milonas as his new tag partner. Bully Ray heads to the ring. He says that Final Battle was his final battle. His career flashed in front of his eyes at Final Battle, and he realized he had a pretty good career. He was born in New York, but as a professional wrestler he was born in Philadelphia. Bubba Ray Dudley was born in Philly, and he should leave his boots in the ring there. He says it’s been an honor and sets his boots down. 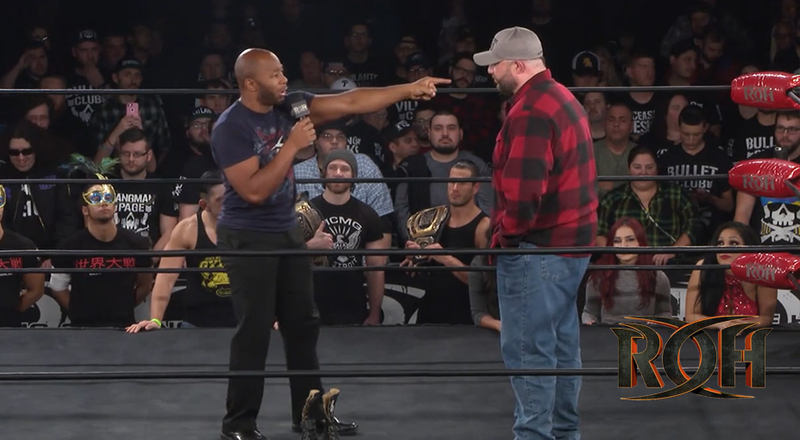 The ROH locker room heads to the ring led by Jay Lethal as the crowd chants “thank you, Bubba.” Lethal has something to tell Bully Ray. Lethal says he didn’t know what to think when Bully Ray first headed to ROH, but he saw Bully help everyone in the locker room. He saw Bully promote ROH and do everything he could to help the promotion. Lethal says Bully Ray is a legend. Lethal thanks Bully Ray and hugs him. Some of the competitors in the Women of Honor Title Tournament are revealed, including Deonna Purrazzo, Kelly Klein, Karen Q, Jenny Rose, Mandy Leon, Sumie Sakai, Brandi Rhodes, Jessie Brooks, HZK, Hana Kimura, Kagetsu, and Mayu Iwatani. Good match. It broke down quickly, so most of the match was fought with everyone all at the same time. This was a good main event, even if the crowd wasn’t very pleased with the outcome. I feel like the matches weren’t as good this week as last, but the show was still enjoyable. I still don’t care for Punishment Martinez, and the War Machine/Coast to Coast match felt a little off to me, but the main event was good.